YONKERS, N.Y. - An NYPD psychologist accused of shooting her husband as he slept has been indicted on attempted murder and other charges. The Journal News says Emily Dearden is scheduled to be arraigned next week in Westchester County Court. She remains free on $150,000 bail. The 46-year-old is accused of shooting her real estate developer husband, 47-year-old Kenneth Dearden, in November 2013 in their Yonkers home. She was arrested a year later. Just weeks before her arrest, her husband filed a lawsuit alleging she tried to kill him because she had been having an affair since 2011 and the man - Warren Roudebush - was pressuring her to end her marriage. 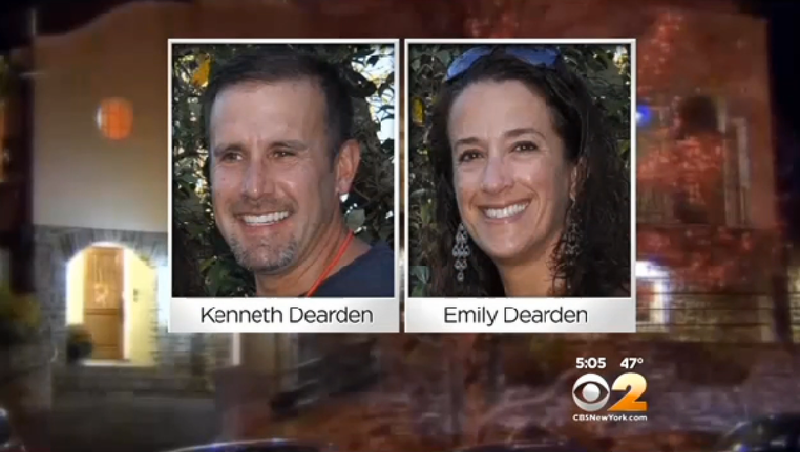 The lawsuit alleged Roudebush flew from his home in Texas to New York the day of the shooting and that Emily Dearden met with him the next day before going to the hospital to see her husband. Emily Dearden reportedly filed for divorce nine months after the shooting. The couple has two daughters. An attorney for Emily Dearden says she "unequivocally denies the charges" and is confident she'll be acquitted. She faces a minimum of five years and maximum of 25 years in prison on the top two charges, attempted murder and first-degree assault. She is also charged with second-degree criminal possession of a weapon and four counts of criminal possession of a firearm, reports the paper. After her arrest, Emily Dearden was suspended from her job, which involved screening candidates for the NYPD. She reportedly remains suspended but is being paid.